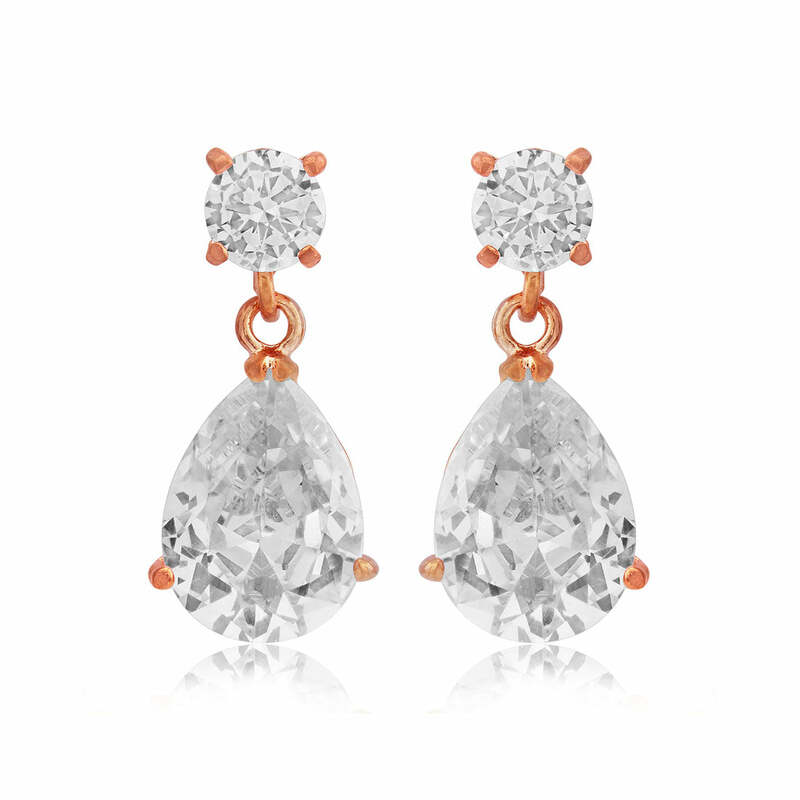 Classic vintage style with a romantic modern twist, these rose gold drop earrings are a divine choice for weddings or special occasions. Combining the classic chic style of the fabulous 1940s with the current on-trend beauty of rose gold hues, our Romantic Starlet earrings are a must own for every fashion conscious girl. Featuring a stunning Austrian crystal pear drop suspended from a single stud their rose gold setting enhances their feminine elegance with effortless ease. The perfect length, our Romantic Starlet drop earrings will look divine sparkling at a lunch with the girls or dressing up a figure hugging gown for a glitzy black tie ball. Oozing timeless glamour they are sure to become the go-to pair in your jewellery box. Utterly gorgeous drop earrings for brides who adore Starlet style, this elegant pair will combine vintage Hollywood sophistication with a contemporary modern day twist. With their metallic tone they will enhance pink hues in your bouquet or complement a blush wedding colour theme.